Landscape Design and Landscape Construction, Inc. offers landscape installation services that provide the client with a creative and successful product. While paying special attention to the quality of materials and workmanship, our staff has the experience and knowledge to install a variety of landscape elements. After creating a detailed proposal that respects your budget and clearly defines the scope of work, Landscape Design installs all aspects of the landscape in a professional and efficient manner. 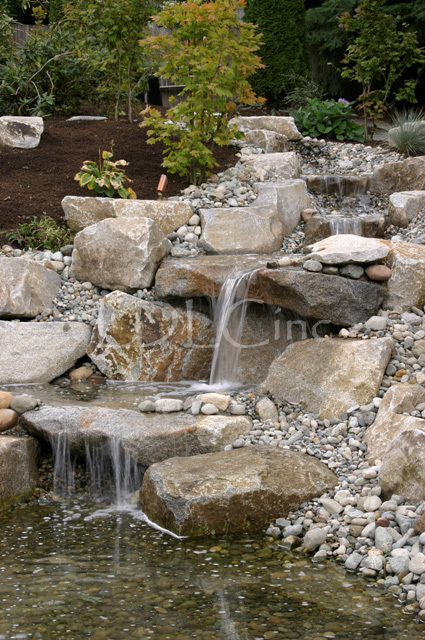 The installation of plant material is often times the foundation of the entire landscape. Special considerations and care are given to the planting of shrubs and trees, in order to ensure that our clients enjoy the same high standard of quality for years of enjoyment. Whether excavating for the location of a new home, or grading to provide for a new terraced landscape, LDLC is capable of undertaking earth moving assignment at any scale. The effective grading of a site is critically important to, and directly influences, the success of a landscape. Our skilled equipment operators have the proficiency necessary to fulfill virtually any grading requirements. The importance of understanding the inherent differences between materials is undeniable. By selecting materials that not only complement the landscape, but are also suitable and cost effective, the resulting landscape becomes even more enjoyable. We place and install all landscape materials, from topsoil and mulch, to sod lawns and specimen trees.